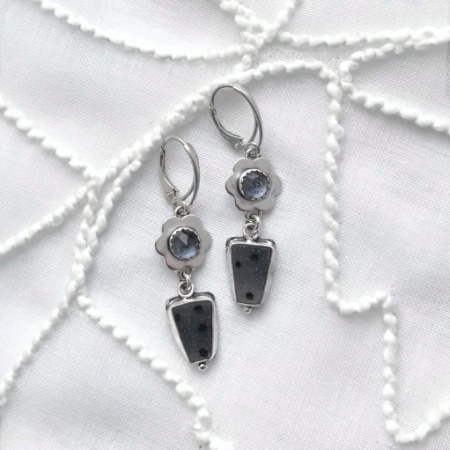 These earrings feature rhodochrosite "slices", and are set in sterling silver w/ sterling accents. The patina I've given them adds a nice contrast to the design. These earrings measure 1/2" from the earwire.